The greatest reward a job can pay you is to help you become who you've always wanted to be. It's never the money you get but who you become by it. 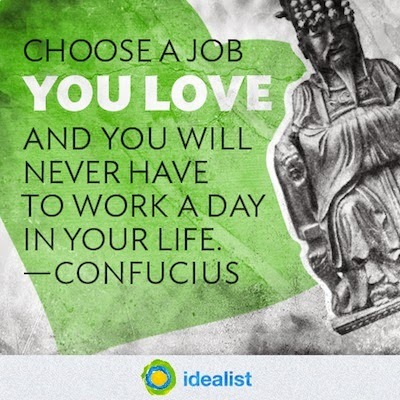 And there is only one way to achieving that: get a job you are passionate about. And to encourage you I've compiled the following great quotes. "If you don’t build your dream. Someone will hire you to help build theirs." Tony Gaskins.